The HAWGOOD swing door hinges manufactured by DICTATOR Productie in Emmeloord (the Netherlands) enjoy ever growing popularity on the market, not least due to their high quality and the resultant long operational life. There always has been attached greatest importance to a precise manufacturing to maintain the established DICTATOR quality standards. However, the permanently increasing sold numbers together with new product variants presented the production with growing logistic challenges. 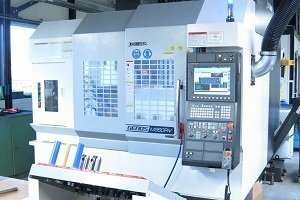 To continue meeting all the quality standards in spite of the increasing demand, in September 2016 a new, fully automatic machining centre was put into operation. Making use of the newest technology now allows the production of significantly larger numbers with the same high precision and quality. Extremely short set-up and processing times also ensure an efficient and cost optimized production despite a large number of variants. "The quality standards of our products are extremely demanding on our production. Therefore, we very accurately verified if this investment would really meet 100 % of our expectations." 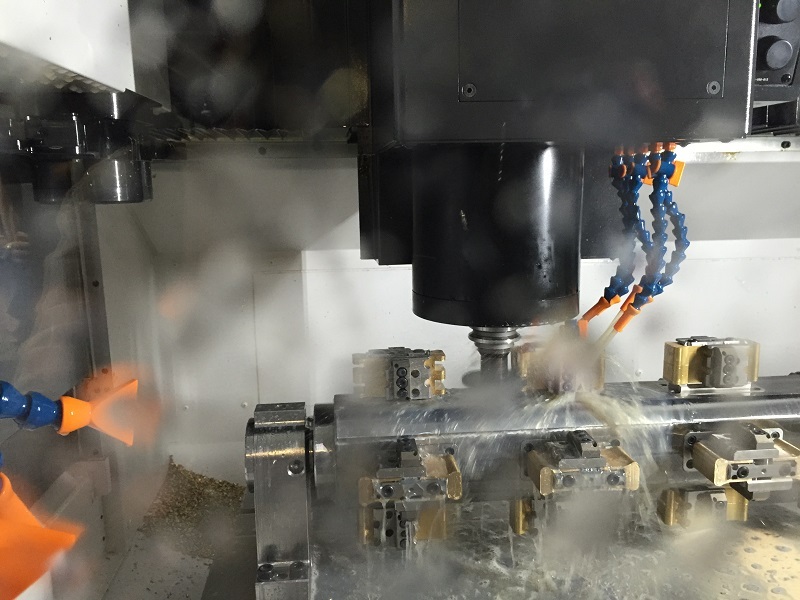 "We are convinced to have implemented a technology with this new machining centre which will meet our specific requirements and that thanks to its capability and flexibility many more possibilities will open up in the future." What makes the DICTATOR swing door hinges so unique? If required, also available with hold-open at 90°. Specially formed shoes provide the largest possible passing width when the door is open and minimal gaps between door leaf and frame when the door is closed. The swing door hinges are available for door leaves of different thickness. The application range comprises small counter flaps and also large, heavy and much frequented swing doors. The model series 4000 and 4500 are manufactured of brush-finished or nickel-plated brass. The series 40 and 41 are provided with a shoe in stainless steel. For their use in the food industry or in humid surroundings they also can be made completely from non-corroding material. All these series are also available with a shoe in self-lubricating plastics. These variants represent an economic alternative – however, with the same performance and durability.